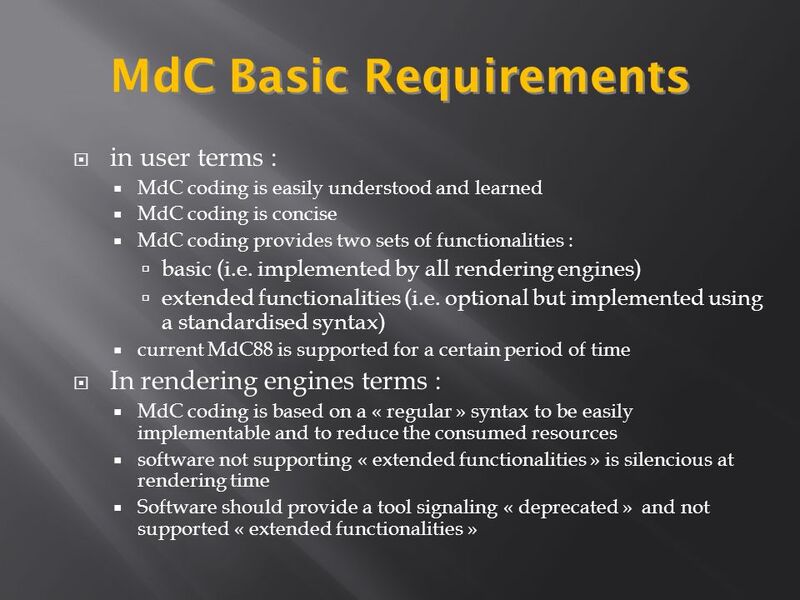 Graphic interface Text Editor External viewable coding Rendering engine Internal coding MdC Our Subject. 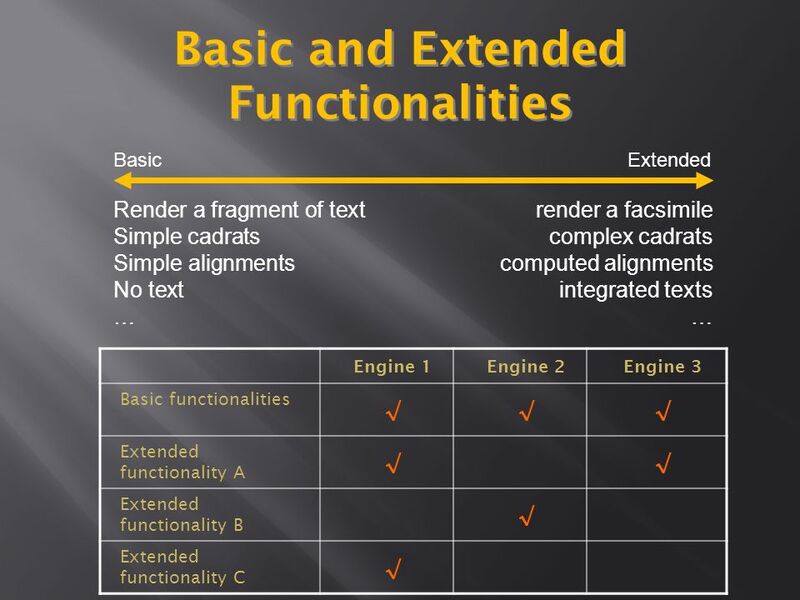 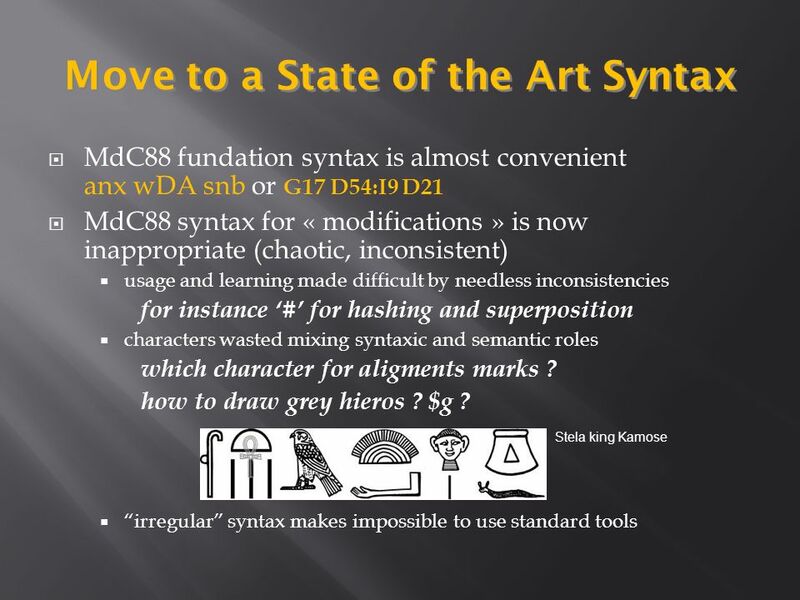 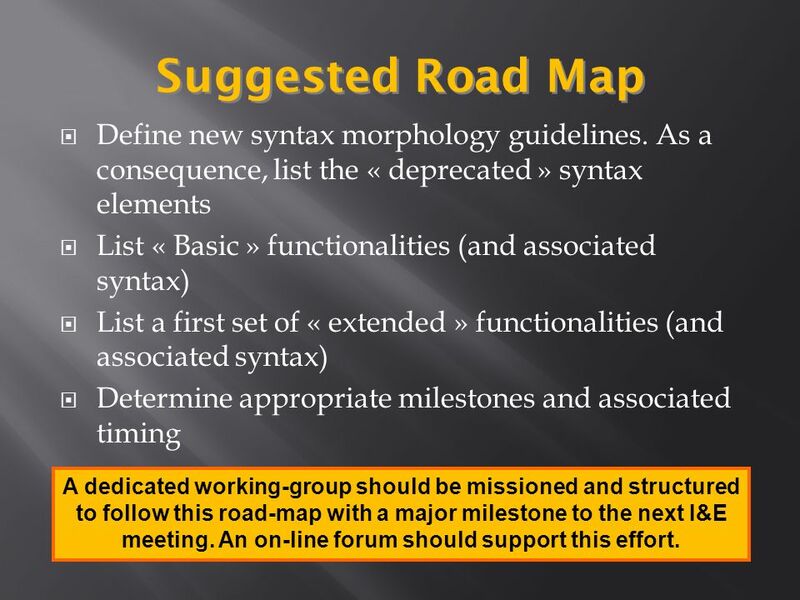 15 Suggested Road Map Define new syntax morphology guidelines. 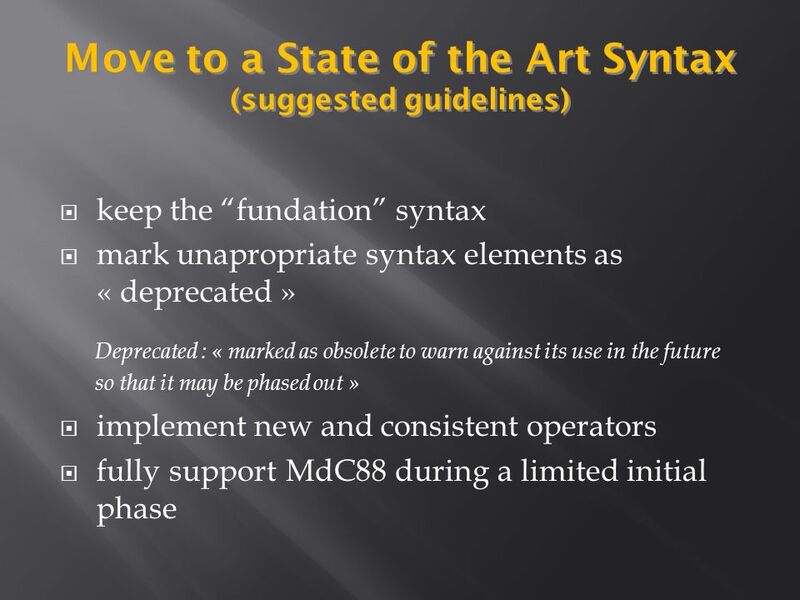 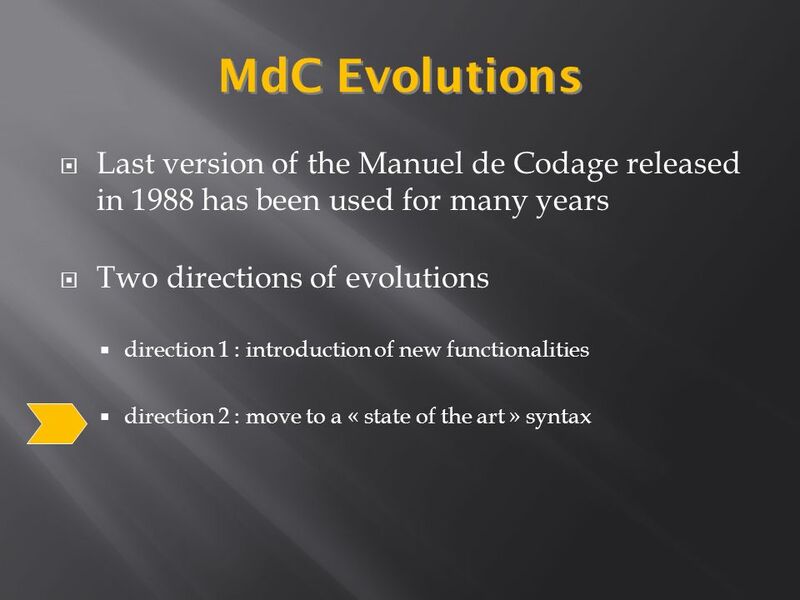 As a consequence, list the « deprecated » syntax elements List « Basic » functionalities (and associated syntax) List a first set of « extended » functionalities (and associated syntax) Determine appropriate milestones and associated timing A dedicated working-group should be missioned and structured to follow this road-map with a major milestone to the next I&E meeting. 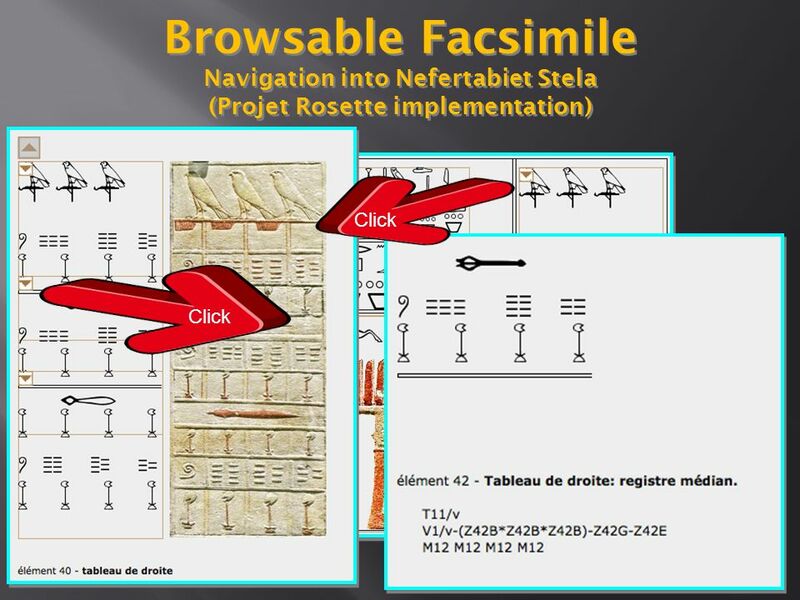 An on-line forum should support this effort. 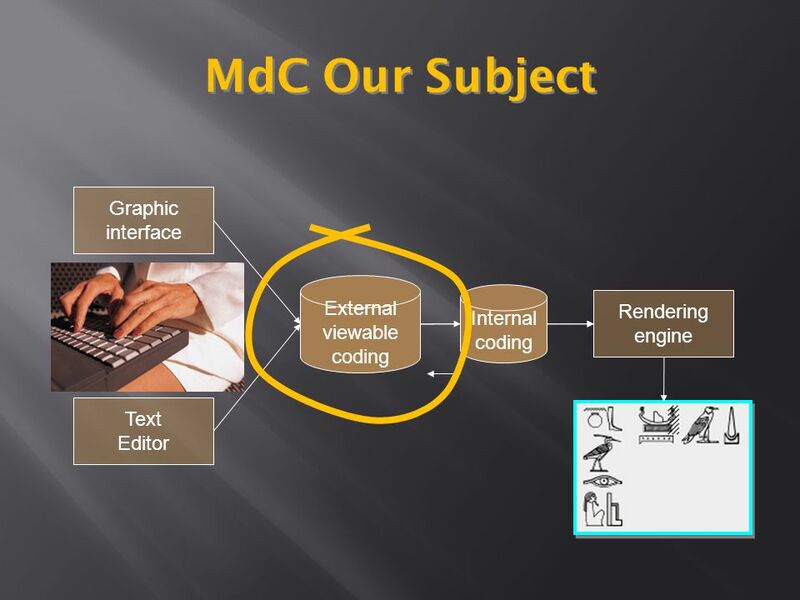 Download ppt "Graphic interface Text Editor External viewable coding Rendering engine Internal coding MdC Our Subject." 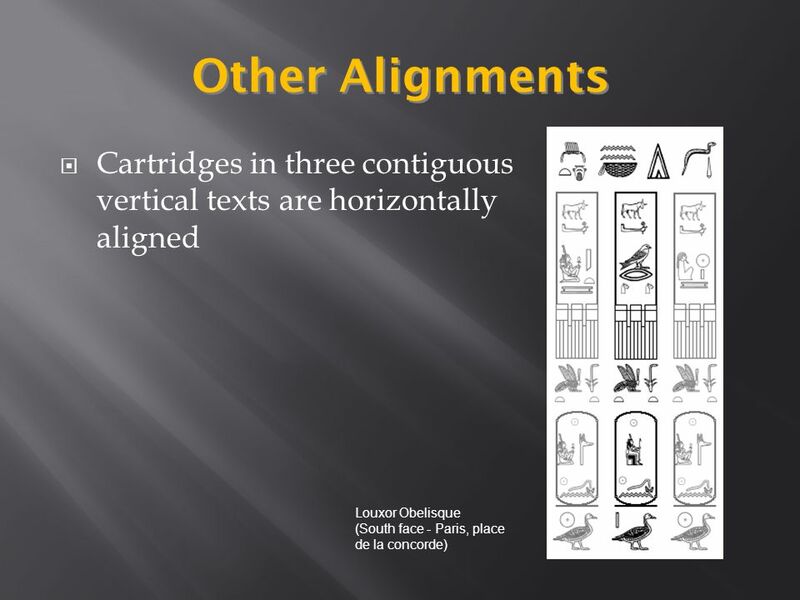 Diagram Definition: an Overview Third OMG/Eclipse Symposium 25 March 2012 Maged Elaasar, Senior Software Engineer. 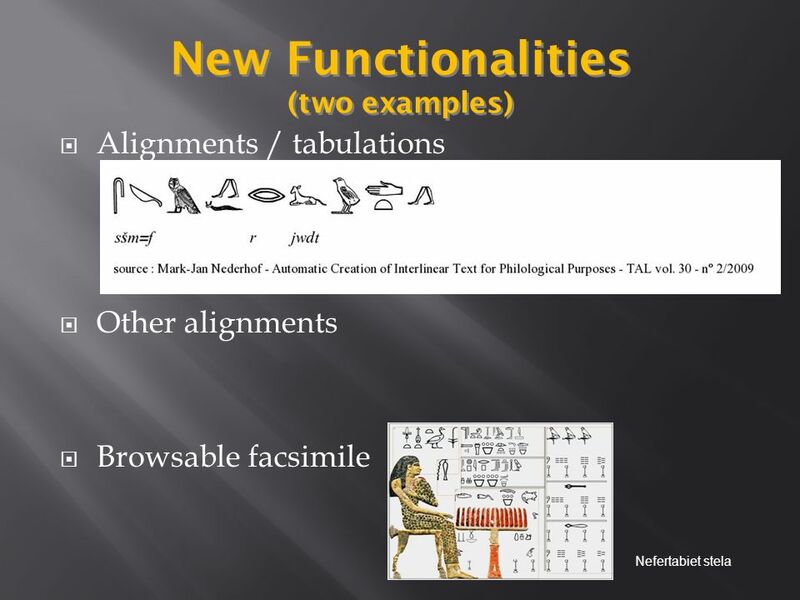 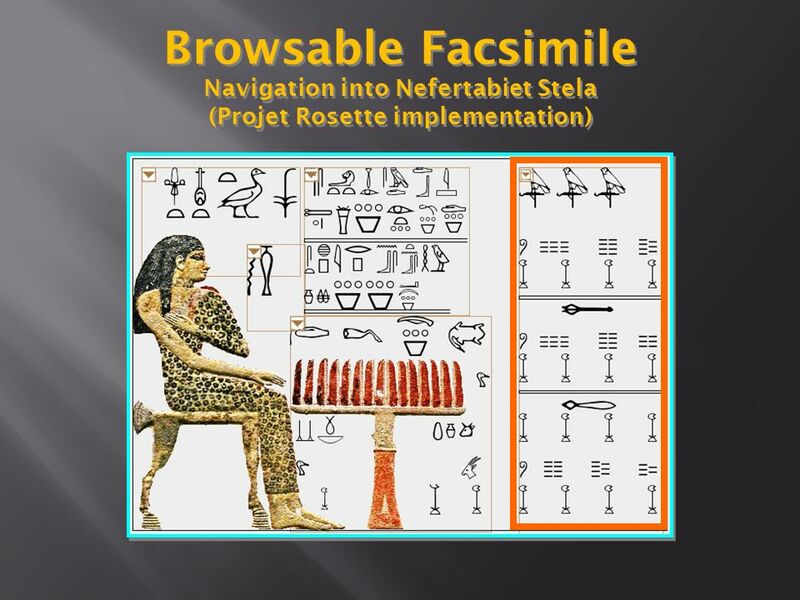 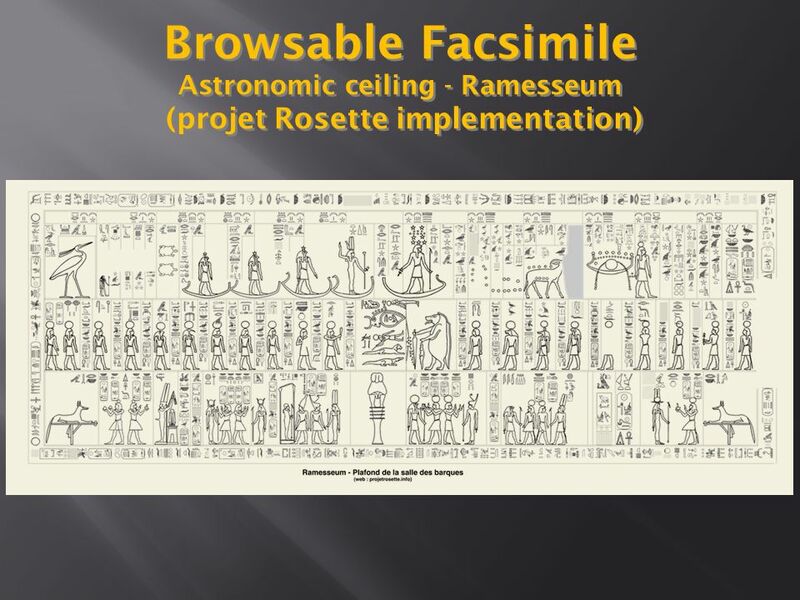 The Rosette Project The Objectives –To provide assistance in the reading and translating of ancient Egyptian texts Recognition of hieroglyphics, through. 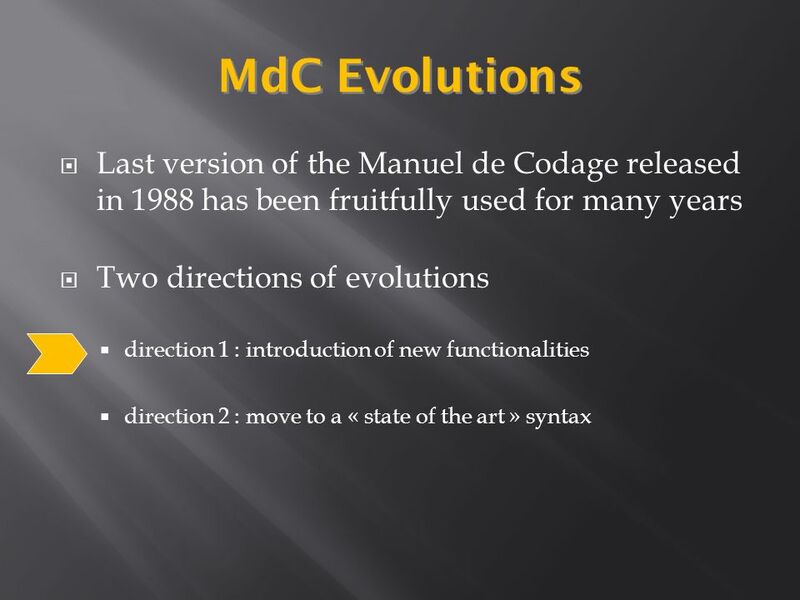 A Model Based on Semantic Nets to Support Evolutionary and Adaptive Hypermedia Systems N. Padilla Zea M. Medina Medina M. J. Cabrera F. Molina Ortiz L.
10. 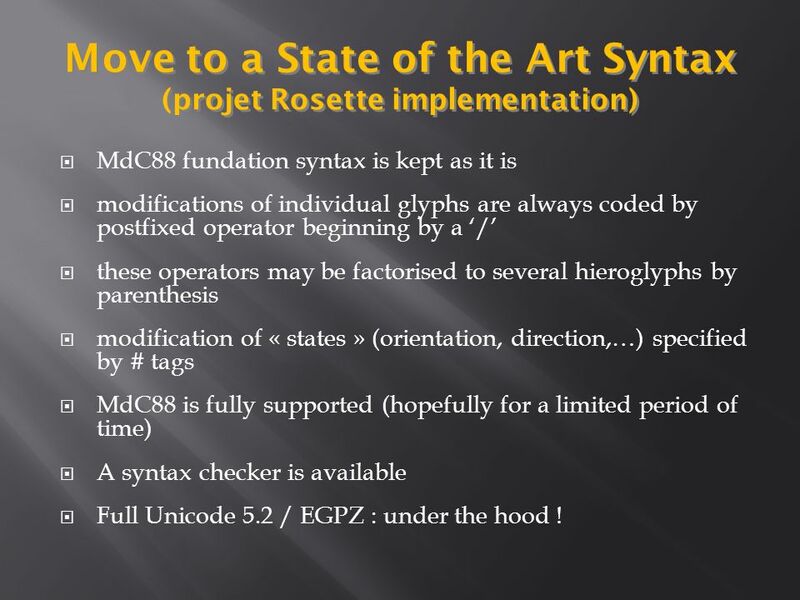 Juni 1998reto ambühler ( WELCOME TO THE GATHERING PLACE. 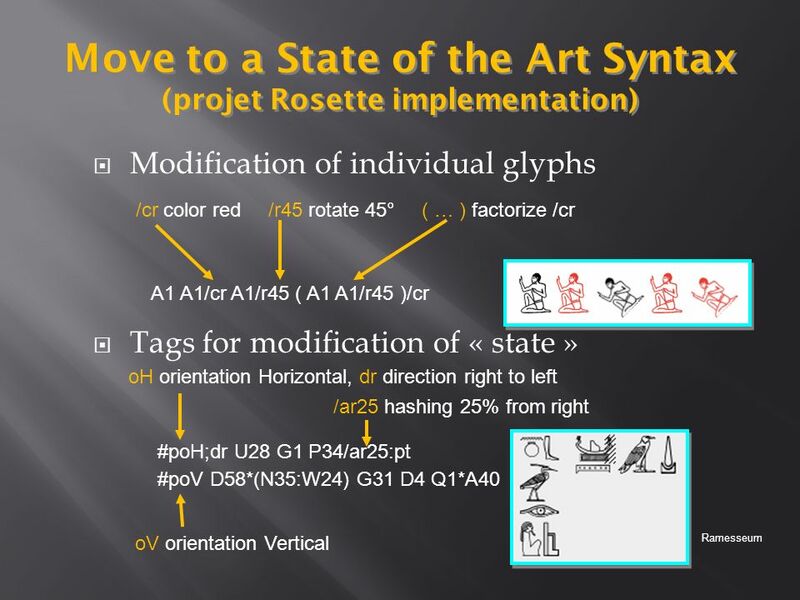 Intel VTune Yukai Hong Department of Mathematics National Taiwan University July 24, 2008.